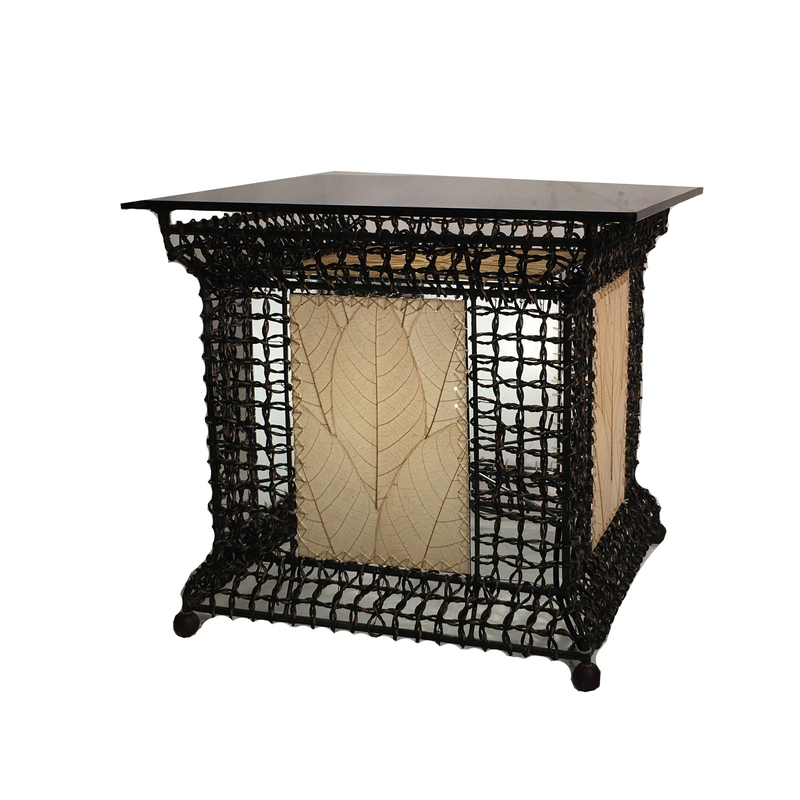 The Outdoor Lighted Table features a built in outdoor LED Bulb with inline on/off switch. The sides are made of a durable nylon brown weave with real cocoa leaf panels and thick smokey glass top. This piece will be the focal point of your outdoor space. This table features a built in outdoor, LED lighting system designed to last 15 to 20 years. Designed to get wet, it’s perfect for a patio or porch. Each bulb produces 800 lumens of light (similar to a 60-watt bulb) at a color temperature of 3000K. The table should be brought inside when temperatures are below freezing. Do not submerge the table or electrical in water and contact the manufacturer if the bulb is compromised.